Idag är det Lucia och jag kommer inte att hinna se ett enda Lucia tåg! 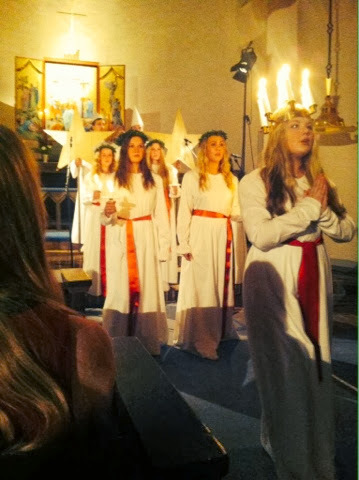 Jag är lite putt över det men jag fick åtminstone se kröningen avTranås Lucia 2013 i onsdags. Today it is Lucia and I will not even have time to watch one Lucia celebration! I am a bit upset about that actually but atleast I got to see the crowning(?) 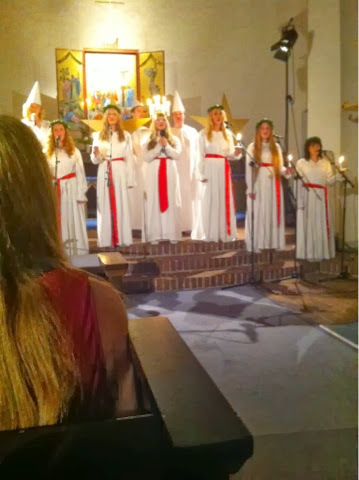 of Tranås Lucia 2013 last wednesday. IF you do not know what Lucia is I suggest you go to youtube and type in "big Steve Lucia". It is hilarious and true I promise.